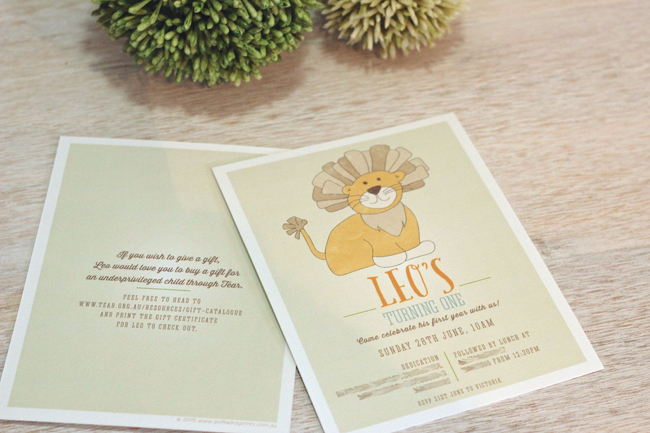 I designed these Leo the Lion birthday invitations for a special little guy a few months back. I think it's kind of fun they went with the whole "Leo the Lion" theme and embraced it whole heartedly. Leo's mum is a friend of mine and she had a pretty solid idea of how she wanted them to look which makes my job a whole lot easier in many ways. Also they planned for no gifts, so they wrote a little blurb on the back as an alternative for guests to donate to a charity gift catalogue if they preferred. I really love that idea for small children when they truly don't need too much in the way of toys. Don't you? I think this mangey guy turned out pretty cute in the end! 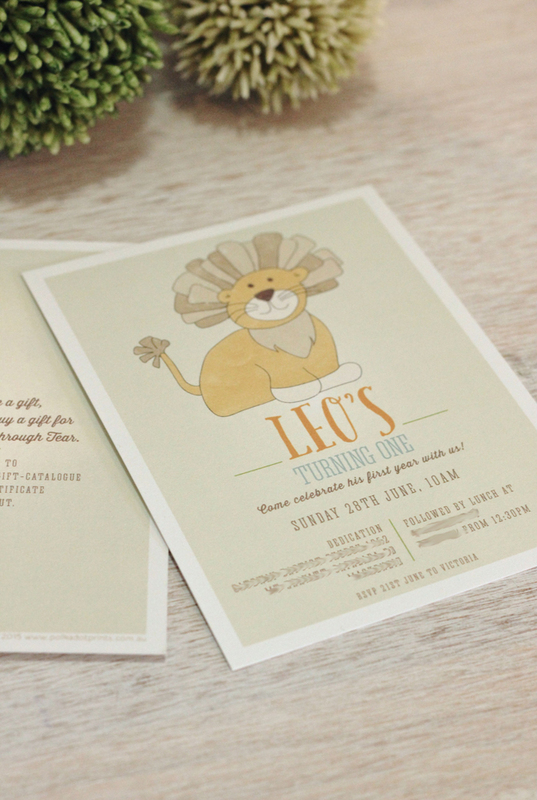 Contact Jordan(at)polkadotprints.com.au for personalised or custom designed stationery. If you’re after the best of the best in business cards, then try MePrint’s print business cards. These 420gsm business cards are super-thick and scream ‘quality’. They even come in gloss and matt finishing options so you to jazz things up even more. I found your site on google and read a few of your other posts. Keep up the good work. I just added your RSS feed to my Google News Reader. Looking forward to reading more from you down the road! You write good content, I am looking for this thanks for sharing it will help others.